Dr. Shawn Greydanus graduated with high distinction from Ferris State College of Optometry. 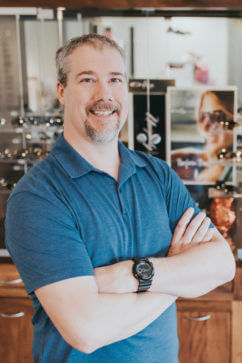 He moved to Prince George from Sarnia Ontario to join Evans Vision Care Clinic as an associate upon graduation in September 1995. Three years later he and Dr. Logan purchased the practice from Dr. Evans and renamed the clinic Nechako Optometry. Dr. Greydanus is married with three boys who keep him busy outside of the office as does his community involvement. Dr. Lisa Logan received her Bachelor of Science degree with first class honors from the University of Victoria in 1985 and further pursued a Doctor of Optometry degree, graduating with distinction from Pacific University College of Optometry located in Forest Grove, Oregon. 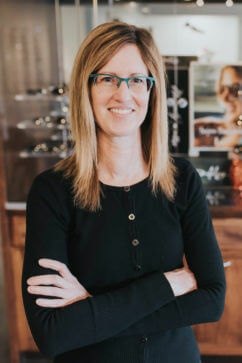 Upon her return to Prince George in 1991, Dr. Logan joined Evans Vision Care Clinic as an associate and after 7 years partnered with Dr. Shawn Greydanus to assume ownership and rename the clinic Nechako Optometry. Dr. Logan enjoys travel, gardening, and spending time outdoors.